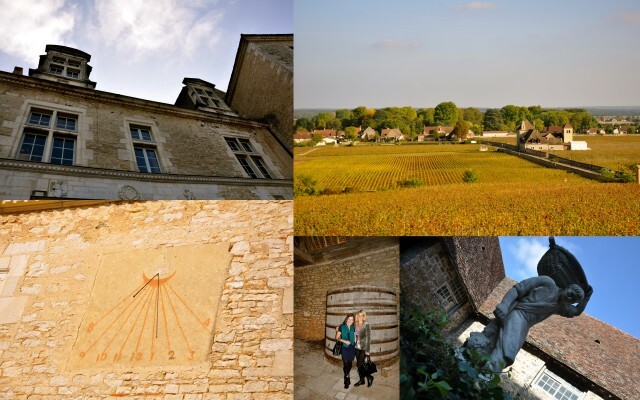 This weekend, we traveled with S & S to Bourgogne (Burgundy) wine country. It’s only about a 2 1/2 hour drive from Geneva. Not bad. 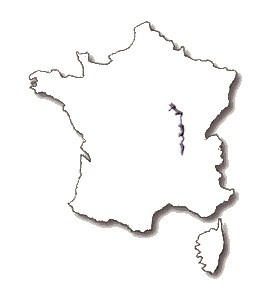 Below you can see the portion of France that is designated to be Burgundy. 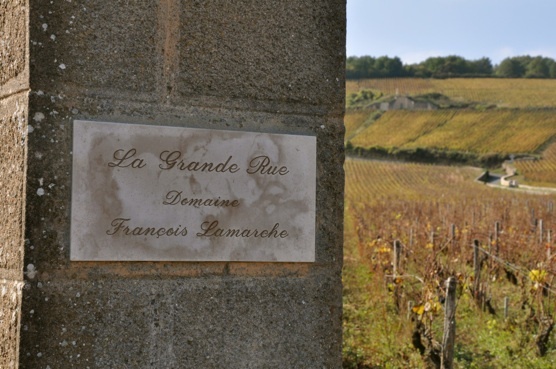 I make this designation of what is truly Burgundy because they certainly make sure to educate you that their wines are the most special viticulture region of France, above Champagne and Bordeaux. We had an excellent guide, Jean Michel, who used to be the director of the travel board of Burgundy. In this role, he traveled all over the world educating on Burgundy wines. And after a day with him, we all felt a bit smarter on wine. 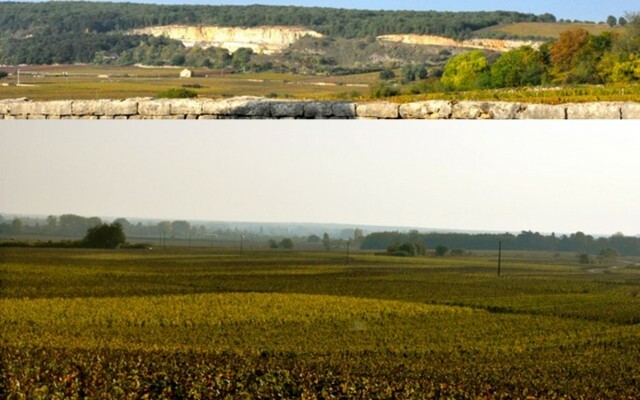 Takeaway #1 – Burgundy wines are special because of the geology. The Cote d’Or used to be an actual coast many years ago. When the Alps formed, it rifted the layers of limestone, thus creating different steps of limestone based soil. It was the Cistercian monks In the 11th Century who actually discovered that the different plots produced different tasting wines. It is because of this that they have the four designations today: regional, village level, village premier cru and village grand cru. They can be literally intermingled. Notice the gradients in the limestone in the top picture and how the different soils make different color leaves, resulting in a "patchwork" effect. This land is only a cool 6 million for 2.3 acres. What a deal! But this price and scarcity of sale prevents people from buying large plots at once. It isn’t unusually for an owner to only have 3-4 rows of vines in one place, and then own another few rows elsewhere. This also keeps production small and focused on quality. Why were monks making wine, you might ask? Well in this day and age, they dedicated one-third of their time to prayer, one-third to education/study, and one-third to labor. Their labor was on the land they were given, the vineyards, and they used their production for gifts and for trade. The monks worked here during the week and marched home on Sundays. Takeaway # 2 – Europeans really believe in the terroir methodology. We heard yet again how Californian wine has a bigger nose, meant to wow, with this mentality being the American style. Jean Michel taught us that Burgundies have a lighter first nose, but then their tastes exceed expectations. You may remember in Italy I learned a lot about Old World vs. New World production. It’s a constant theme here. 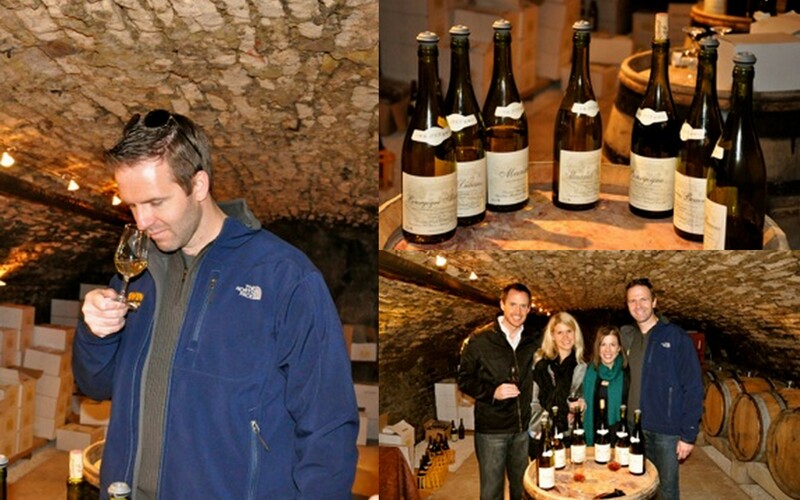 At our cellar tasting, Jean Michel taught us that wine tasting was an “intellectual process”. Takeaway # 3 – Wines are meant to be shared. We talked about the art of selecting a bottle throughout the day, being equally as difficult a skill as tasting. Jean Michel told us that his cellars were never locked for his children, but they were taught that if they took a bottle, they must ensure that the person they shared with appreciated the quality. 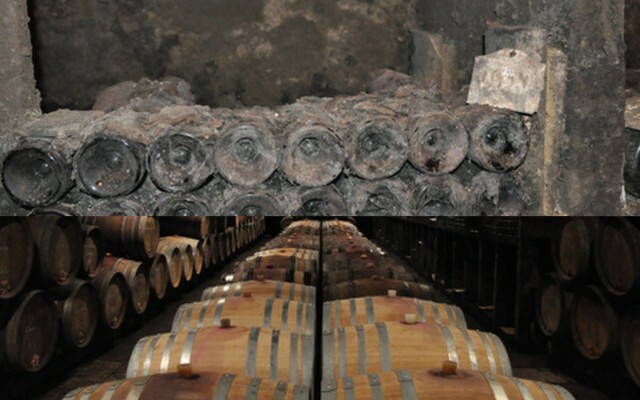 In the cellars at Gevrey Chambertin, there were bottles from 1934. He told us they were literally “priceless”. I’d strongly encourage anyone traveling through France to make a stop in Burgundy. An incredible place. This entry was posted in Autumn, Daytrips from Geneva, Food, Wine & Beer, Learning & Growing, Travel: Europe. Bookmark the permalink. What a beautiful landscape and a joyful experience. I’m glad the two of you shared such a wonderful weekend. I love the photo of the two of yo before the vineyards. The wines of the Cote d’Or are perhaps my favourite of all. What a incredible trip that sounds like.Thanks for refreshing us with all the good geographical, geological and “terroir” info.